before Jesus' birth on return from exile in Egypt after Herod's death, after the Passover visit to Jerusalem when Jesus was 12 years old, he stayed for a couple of years in Bethlehem in Judea, he was forced into exile in Egypt. Joseph was a carpenter, though the Greek term is much less specific. It cannot be translated narrowly; it evokes an artisan with wood, or an artisan in iron or stone. little other information on Joseph is given in the Gospels, in which he never speaks. In the Gospels as present on the visit to Jerusalem when Jesus was 12, but no mention can clearly be placed later than that. Vague is the time and place of his death, represents Mary as a widow during the adult ministry of her son. As a Roman Catholic Saint, Joseph is the patron saint of workers and has several feast days. He was declared patron saint and protector of the Catholic Church and Apostle Peter by Pope Pius IX in 1870, and is the patron of several countries. 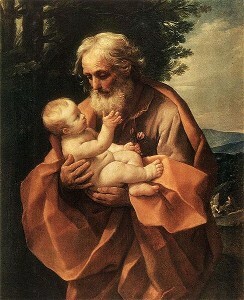 The events to do with the life of Saint Joseph presence narrated in the canonical Gospels took place before Jesus' birth and during his childhood.There is an allusion to the first event of the Life of Saint Joseph namely Joseph's betrothal to Mary, which made her his wife according to Jewish law. The clarification has been added that they were not yet living together which follows that they had not yet conducted the wedding rite known as the home taking which is the legal ceremony that permits Jewish couples to begin conjugal relations. The first thing related in detail is Joseph's dream, which he is told by "an angel of the Lord" not only to take Mary for his wife, but also to name the first son Jesus, hence to assume legal paternity. The first command Joseph carries out, apparently promptly, the second in due time. 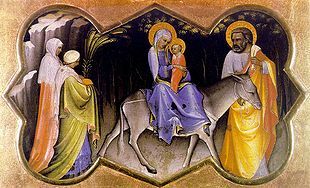 and who, whilst they are at Bethlehem, gives birth..
Joseph takes Mary and Jesus to the Temple in Jerusalem to offer the sacrifices required on the occasion of the birth of a first son. Whilst doing so, he and his wife receive a blessing from the aged Simeon and listen to his words and those of the prophetess Anna “two people who have been waiting eagerly for the salvation of their nation and perceive now the significance of the child before them“. Then Joseph leads Mary and Jesus to safety in Egypt to escape from Herod. The next event is when Joseph is told by a angel in a dream of Herod’s plan to kill Jesus, and ordered to save the boy by taking him to Egypt, he promptly does this. 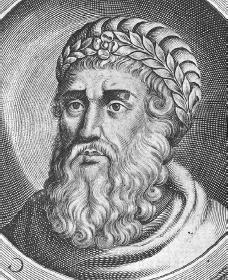 Then once Herod had died, Joseph is told by a angel in a dream to bring Jesus and his mother to the land of Israel, but when Joseph hears that Herod has been succeeded in Judea by Herod Archelaus, and Joseph worries about the latter's ill repute, a further dream guides him to the Galilee. Then Joseph takes mother and child to Nazareth and stays there. 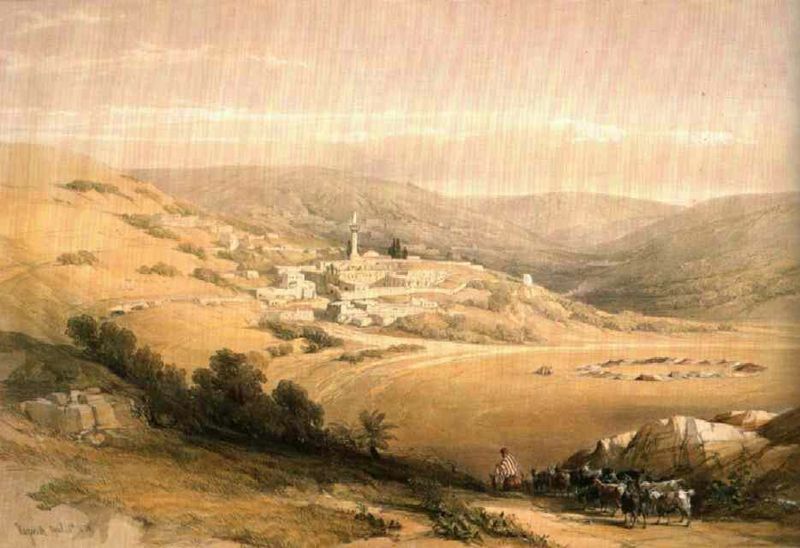 The last event mentioning Joseph is the family's Passover visit to the Temple in Jerusalem when Jesus is about 12 years old, and coming to the end of his childhood. The canonical Gospel records are silent about the life of Jesus, Mary, and Joseph during the next two of decades. They start the narration when first John the Baptist, and then Jesus, start their public ministries their accounts from thereon mention only the presence at events of Mary and never again that of Joseph. Apocryphal sources explin the canonical Gospel accounts. They account Jesus working side by side with Joseph in his carpenter shop at Nazareth, and also staying with Joseph while the latter worked. They tell how Joseph made an important decision when he found that Mary was with child before their arranged marriage and instead of allowing her to be stoned by townspeople, he removed her and protected her. In Catholic tradition, Joseph is described as dying "in the arms of Jesus and Mary". This is all we know about the Life of Saint Joseph.